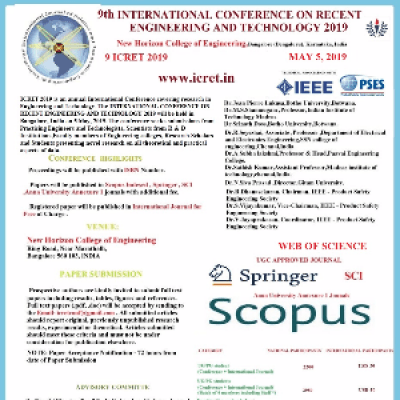 Proceedings of ICRET 2019 will be published with the ISBN number. 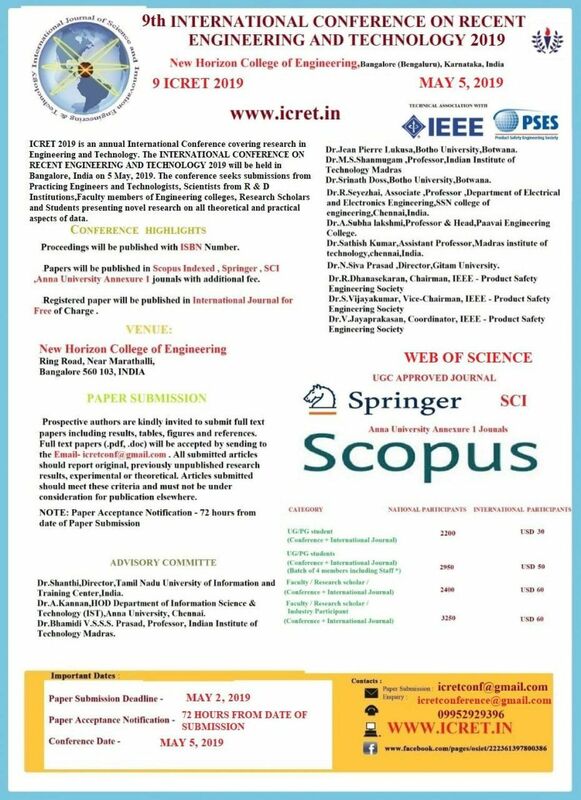 All selected papers of ICRET 2019 will be published in SCOPUS INDEXED, ANNA UNIVERSITY Annexure 1, Springer, SCI, UGC approved or International Journals . Best Papers will be selected from each sessions and one Excellent Paper will be awarded . Prospective authors are kindly invited to submit full text papers including results, tables, figures and references. Full text papers (.pdf, .doc) will be accepted by sending to the Email- aWNyZXRjb25mIHwgZ21haWwgISBjb20= .